After all these years the time has finally come: TLOZ Chaos Rising has been completed. 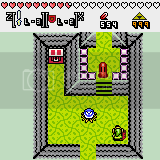 This game does not start where one of the existing games end, it takes place a great time after any known time of Hyrule. Its story is like none before. Its not about good and evil, not about who will rule. This time you have to save existence itself. Ages ago the Triforce weakened from granting all contradictive wishes, a golden world, a dark world, to rule over all, to rule for all. 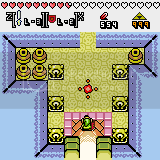 This weakened the triforces main function. A function unknown to the Hylians and other races. The Triforce was not only there to grant the wishes of those that touched it or to counsel them in difficult times. It had to protect the creation of the goddesses from that what had been before, the Chaos inside. It twisted the lands and the minds of great man. 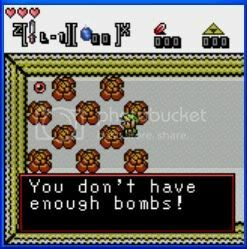 War came not only to Hyrule but also to other regions. At the end of this war a hero emerged, but this time he did not fight alone. Together with seven powerful warriors they managed to banish the Chaos Forces back to where they came from. However at great cost. The world was dying and the Triforce of Power missing after it had granted one last wish to reshape the world. Now a great many ages later the new seal that was meant to protect the new worlds for as long as possible is about to fail. Existing out of some islands floating in an endless air environment the Air World is the home of those of the Hylian race that survived. They founded a small village on one of the southern islands. One of the Worlds was made out of the mountains and the core of the old world. A place of both great heat is the home of both the Goron and the Subrosian tribes. Out of the Oceans and a few isles the aquatic world was born. Home to several kinds of creatures, including Zora's and Fairies. In the image of the Sacred Forest a new world was created , home to the animal kingdom. Created from the Temple of Seasons after the seasons were undone by chaos and the remainders of the old Sacred Realm the core of the combined worlds was formed. Allowing Travel to all other worlds a small trading outpost was build. Unfortunately the connection to the other wolds was lost in time. There are 2 .exe's in this file: One with all the room transitions active and one with less room transitions for pc's having trouble with the normal version. To be considered a major spoiler, but available to those whom have a problem with playing a zelda game without a map. There are 2 different versions: one with the full completed maps and one that shows the zones, but where the rooms are blanc. You can use it to draw your own map. usage of numpad 1 - 2 -3 scales the rooms from 100% - 150% - 200% of standard game scale. 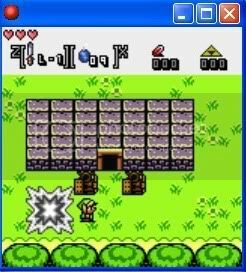 Nintendo: for the original Zelda Series, the sounds, original music and original Zelda sprites used. No Copyright infringement has been intented. 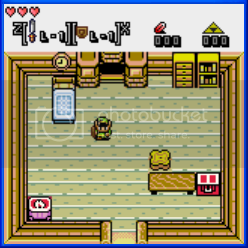 All sprites / names / music from the Legend of Zelda Series are property of Nintendo. Howevert the story, mapdesign and the game-engine for this fan-game do belong to the creator of this fangame. This project is a fan-project and has never been / will never be about making profit. Please use the spoiler function when posting something about the content of this game. Lets give everyone a chance to discover things on their own. Looks sharp -- but that shot of a dungeon looks a bit plain. It's all apart of the "style," though, so it works. I hope you make some good progress! eh, that is not a shot of a dungeon. But your right, it did need a bit more work. Here is an update of the current status of that room. 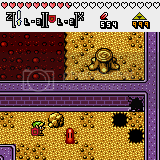 Currently changing something so that when you save your game ( while death occurs or just while playing, ) it will not save link's current room and coordinates, but the ones of the room in which you should start after continuing the game at a later time or continuing after death. The font seems like the same font from another project I've seen! Kind of neat that you're working on this. I wish you good luck, sir. With the massive amount of notes and drawings which I have made I should be able to do this without needing too much luck. But good luck never hurts I guess. As with something like this there always is something that doesn't work out as planned. I also used this font a few years ago in an engine that became a complete failure. Sorry for doubleposting, but there is a small update. I've just completed the redoing the saving part that controlls in which room you will continue your game after quitting or death. 3 October 2010: I don't feel like tripple posting so I'll just edit this one. A small trailer this month. There most likely won't be a lot of updates this month as I have to go through 280+ rooms to add boundaries to prevent walking where you are not supposed to walk. Somehow the image quality seems to get reduced when the video gets uploaded to youtube. Just a small update as my current work is not really something that I can show easily. Half of the world now has its border objects, bushes / holes / rocks and such have also been implemented in that area. the water based world now has refill objects which you can only get while diving. you can now fall down a small waterfall, but not swim up again. 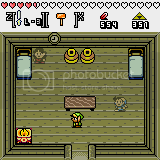 now almost 75% of the 301 overworld rooms have their border objects. 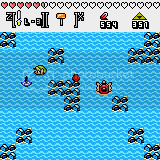 also just implemented the drowning in lava effect for link. Done placing the boundary objects on all 301 rooms which together form the entire world map. 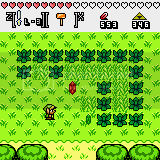 Also just finished creating the backgrounds for the 47 houses. Next will be the creation of the cave backgrounds. after that I will place the boundary objects in the house an cave rooms. the cave backgrounds now also have been created. Current work: upgrading the GM 6.1 chaos rising engine to a GM 8.0 version. Unfortunately there are some incompatible parts which will take some time to fix. With other words: I have 301 rooms with room creation settings that need fixing before I can look for other changed or incompatible functions. UPDATE: found new bug when jumping down a waterfall you now appear back at were you last were on solid ground ( in the same room ). have to think about how to fix this one. 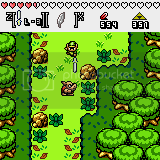 UPDATE: no other movement bugs found in link. Weapons and usage of other objects also seems to be without problems. Update: fixed the waterfall jumping bug, no other bugs found at current time so I will start implementing the cave and house rooms. Why the hell has nobody posted here? Looks interesting. You story seems a bit...vague-ish though Lots of unexplained stuff that kind of comes out of nowhere. Cool little trailer too, but a true GB styled game needs a sliding screen! The story seems nice. I personally do not like GB style that much, way too small for me. The last screen I don't like. The room is either too large or to empty. Probably both. The unexplained stuff is part of the game, to save the present you will have to learn more about the past. The sliding screen would need a view that separates the map parts that are made in 1 room. 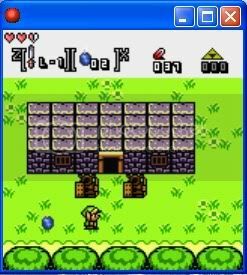 This game has been made so that each background has its own room, preventing the long loading times when a new large background would have to be loaded. I currently have over 400 rooms and I still have to develop the dungeons. @Niek: your right something is missing in this shot, in the original plans the room also has 3 bottles in it, it appears that I forgot to actually place them in the room. Is your profile pic of the first dungeon or something? It is a dungeon, though it is not the first one. Am wondering If I should add a room transition effect to this game. Current engine deletes the old background when going into a new room, when using transitions I cant do that. Meaning 400kb extra memory usage for each room entered / re-entered. With 5 votes in favor of adding room transition effects and 0 against its clear what to do next. This weekend room transitions will be added into the game. + test everything to see if there are any new bugs. estimated game creation progress after this weekend: between 30 and 35%. estimated release date of next trailer: Christmas 2010 => due to real life time management problem delayed till unknown date. Good, seem to have everything back on track and have resumed working on this project once again. And I now I have a new PC ( now 3 weeks old ), it should work without having certain not-properly-working hardware problems. current phase of the project: finished the things mentioned in the November post. I seen the trailer and I wait for a demo. Page created in 0.124 seconds with 61 queries.